As a veteran debt collector and debt collection expert, I have seen first-hand, the importance of a good risk management strategy and I have also become an expert on how to establish an effective risk management policy in any company. Risk management is the process of identifying prospective risks in a business and then developing a strategy or plan for managing these risks, if they were to eventuate. Why is it important to have a risk management process? 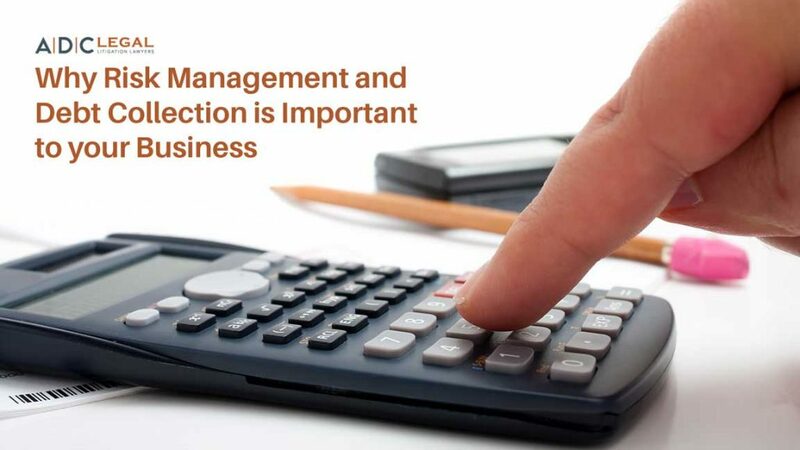 Knowing what could go wrong in your business, and what action to take if it does, protects your business significantly from loss of profits, damage to reputation and other negative repercussions. You may also be able to prevent bad debts happening in the first place, thus negating the need for debt collectors! Having a risk management policy also allows you to identify what kind of insurances you should be taking out in order to achieve maximum value for your insurance spend. What if we get sued? Who do we call if we get a complaint from a government department? What do I do with all these outstanding debts? These risks can be internal or external, can come from your employees or from your contractors. List all of the potential risks to your company. Second, you need to ask how each risk can be avoided or at least reduced. This is probably the most important element of your risk management process – working out how to reduce or avoid the risks completely. Consider whether you have insurance that adequately covers you for each risk. Do you have a credit manager or accounts receivable person to chase all the outstanding invoices? Once you have developed your own risk management strategy, it’s important to revise it regularly. Having a good external debt collection agency that can collect your accounts receivables is important. We strongly recommend that you outsource your debt collection functions to an expert. This is a function best handled by debt collection professionals. It will also send a strong message to your customers that you are serious about payment. Debt Recoveries Australia can help write your terms, set up your invoices, add in penalty clauses for late payments, help collect those payments when they become overdue. We can even issue proceedings through the court (utilising our legal arm, ADC Legal), against delinquent debtors that simply refuse to pay. The benefits of using Debt Recoveries Australia and ADC Legal, are that your company sends a strong message to your customers about the importance of prompt payment, while also preserving your brand and reputation. If you are offering credit to your customers you need to make sure that you have an efficient risk management strategy. Let us tell you how we can help your business! Call ADC Legal now on 1300 799 820.